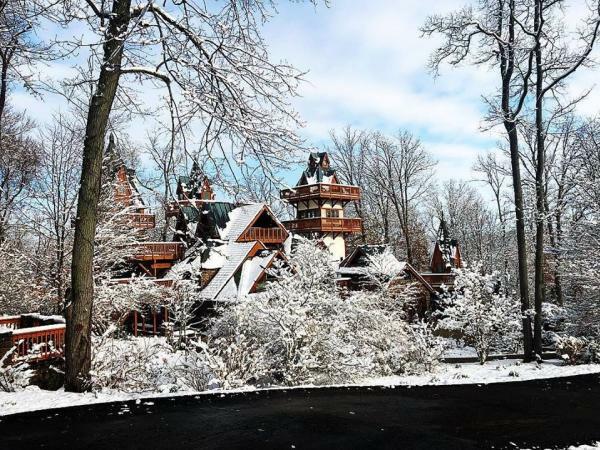 Top 10 Things to do in Ohio when it Snows - Ohio. Find It Here. Snow fall doesn’t have to mean hibernation while you’re traveling in Ohio. 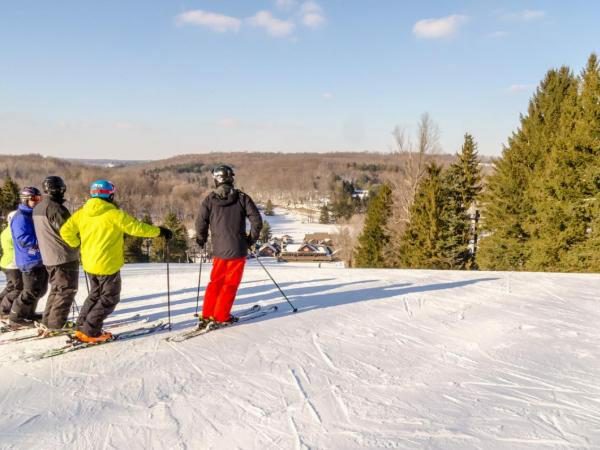 Tackle the slopes by skiing or snowboarding, reach ultimate speeds while sledding or hike through beautiful winter wonderlands – all on an outdoor adventure in Ohio. The snow is sure to bring you and your family endless fun this winter season! Nothing beats the thrill of carving out your path while skiing in Ohio. Whether you’re an expert or a beginner, there are plenty of opportunities to hit the slopes by skis or snowboard this season. Check out the Meadow Trail at Alpine Valley in Chesterland or challenge yourself on the Alpine Trail at Snow Trails near Mansfield for a glimpse of a snow-covered wonderland. Click here to find out more about skiing in Ohio. It’s a picturesque scene – a glittering frozen pond surrounded by a blanket of bright, pristine snow. 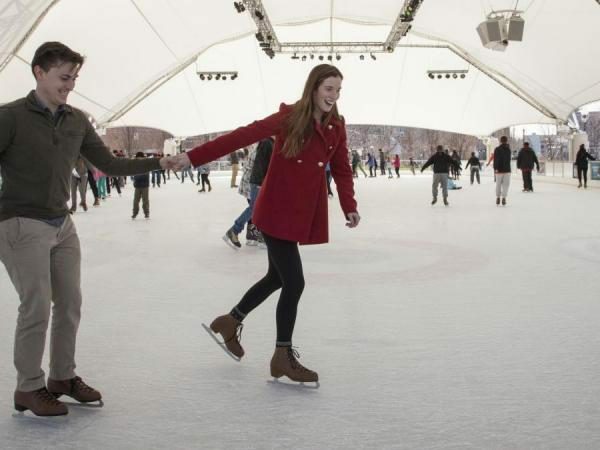 Sharpen your skates and glide across the ice (or try your best to) at Coffman Park in Dublin or Blendon Woods Metro Park in Columbus. If you’re feeling adventurous, head to Akron’s outdoor ice rink where you’ll find the unique experience of bumper cars – on ice! 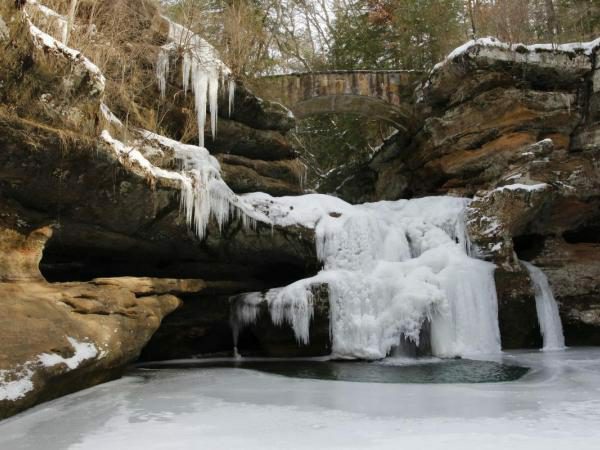 Snow days are some of the best times to get out and explore Ohio’s 75 state parks. It’s the new year! Keep your new year’s resolution with help from ODNR. With organized group hikes and other winter activities, you’re sure to be motivated to get out and get active this winter. 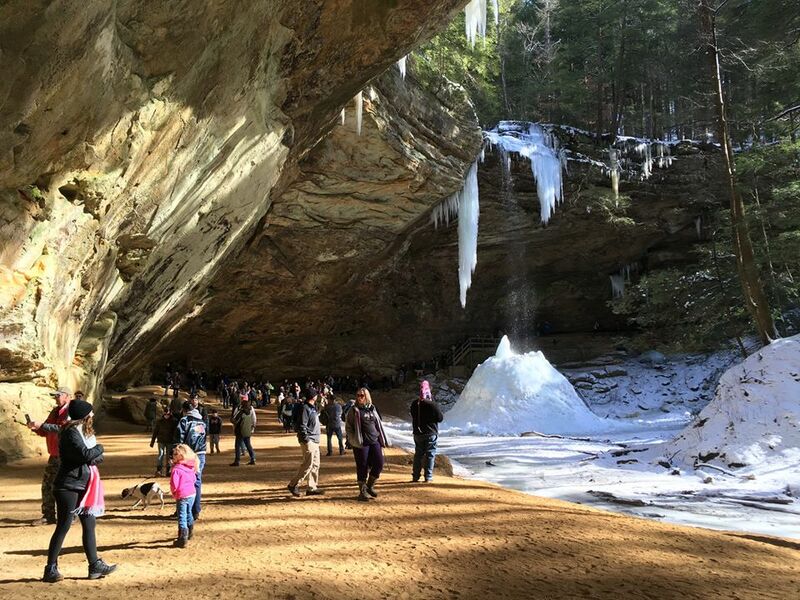 Some of our annual favorites include the Sweetheart Hikes at Mohican and Hocking Hills State Parks taking place in February. Click here for a list of organized hikes. Nothing says winter in Ohio more than tackling the highest sledding hills around! Feel the cold winter wind breeze through your hair as you rush down the snow-laden hill at Westlake Recreation Center Park or Fairfield’s Harbin Park. Feeling adventurous? Catch the varying heights of three different sledding hills at Battelle Darby Creek Metro Park in Galloway. 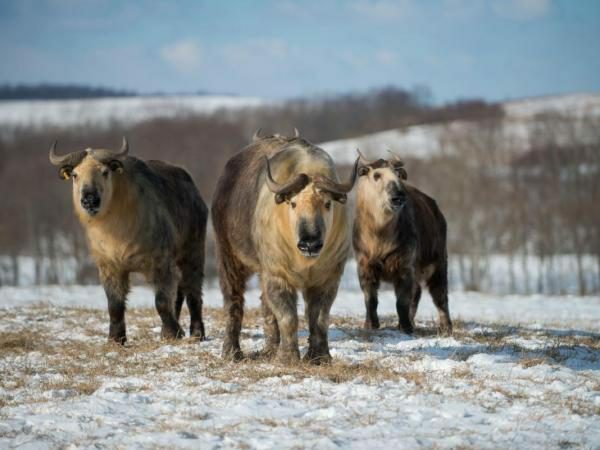 Take a snow day adventuring to the next level this season on a wintery safari at Winter at the Wilds. Get a behind-the-scenes look at many of the animals and learn more about their winter activities. You’ll even get an opportunity to see the baby rhinos and giraffes! Watch your surroundings sparkle as you snowshoe throughout beautiful winter scenery at Milan Towpath Metro Park. Once an early canal and railway, this park is the perfect spot for both outdoor adventurers and history buffs alike. Or head to Cuyahoga Valley National Park where you can rent your own snowshoes for free! Check the ODNR website for more locations perfect for your next adventure. 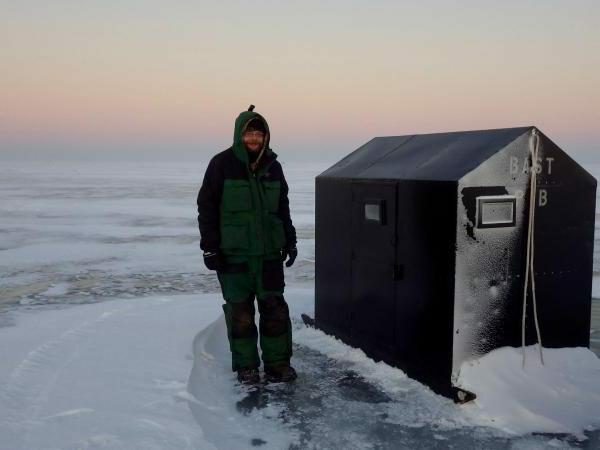 When the ice is solid, many head to lakes around the state to try their luck at ice fishing. Ohio offers plenty of ice fishing spots, including Atwood Lake in Mineral City, Deer Creek Lake in Mount Sterling, Indian Lake in Lakeview and Lake Erie. Before you head out, be sure to check the conditions and have a valid fishing license. Click here for ODNR’s tips, tricks and important things to remember when ice fishing in Ohio. 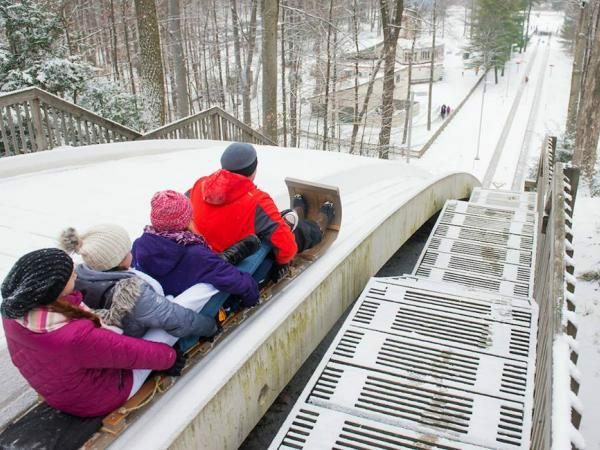 Hold on tight as you speed down-hill on the icy, 700-foot toboggan chutes in Strongsville. The Chalet in Mill Stream Run Reservation is the perfect place for your next snowy adventure. While no snow is technically required, a little dusting can make for a gorgeous thrill. Be sure to come back in the fall for seasonal hay rides and concessions. 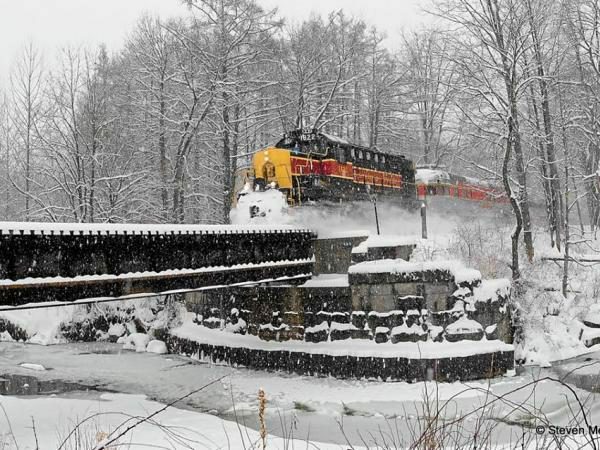 Snowy country-sides make for scenic train rides and Ohio is rich in railways with gorgeous routes. Head to Cuyahoga Valley National Park where you can travel back in time as you board one of their new Zephyr Cars, first made back in the 1940s. 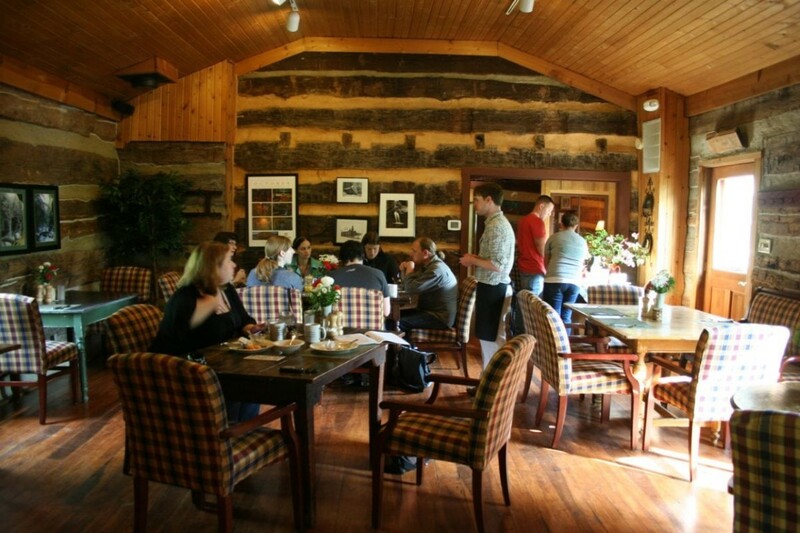 Sweeten the deal for your sweetie around Valentines Day with a romantic farm-to-table dining experience available every Friday through May 2019. Ohio celebrates the snowy season with dozens of winter-fests bound to keep you out and about during your trip. 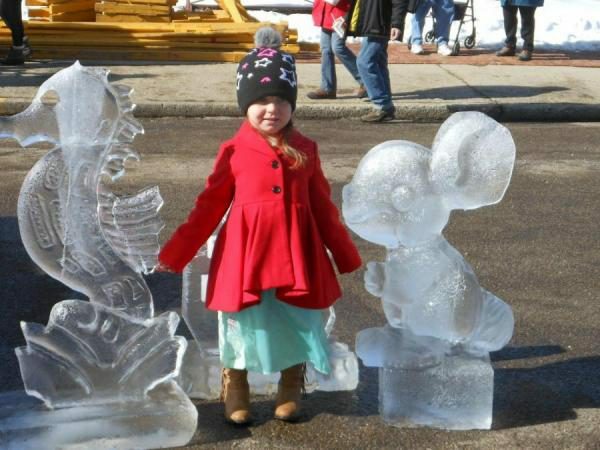 Watch in awe as ice carvers shape chilly creations at Mohican Winterfest on January 12 – 13. Tired of the cold? Get your flex on at the Arnold Sports Festival in Columbus Feb 28 – March 3. Ohio has a fest for whatever sparks your interest this snowy season. 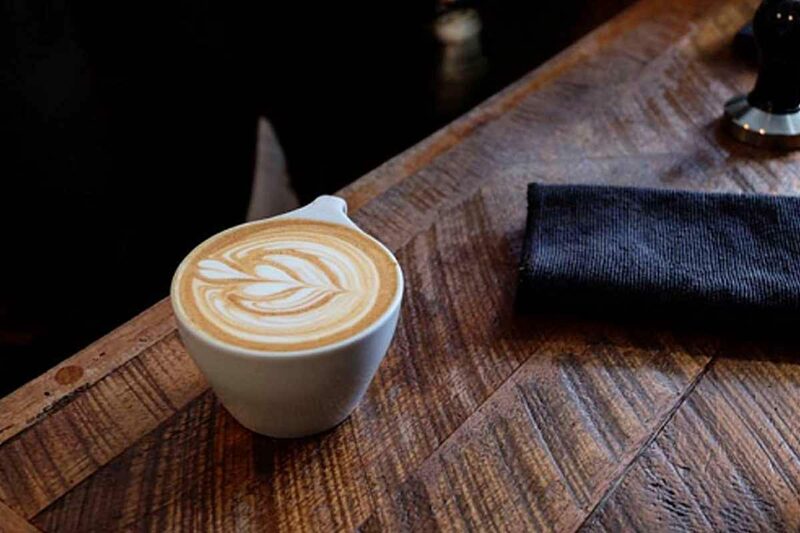 Click here for a list of other can’t-miss events this winter. Don’t miss out on one of the most beautiful seasons Ohio has to offer – get out and make new memories this #WinterInOhio. Click here to find more travel inspiration on Ohio.org.